Denim never goes out of style! This fabric looks great and it’s super comfy! 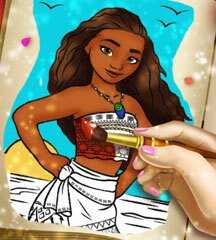 This princess wants to show off her fashion design skills and make her own denim clothes. 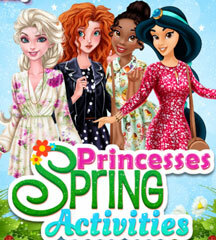 Take a look at her collection and decide which outfits she will show off on the red carpet. 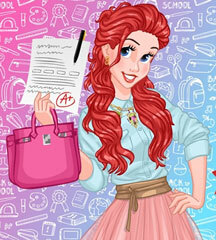 This is one of those dress up games where you have lots of options to choose from! You can try a t-shirt with jeans and sneakers for a casual look. 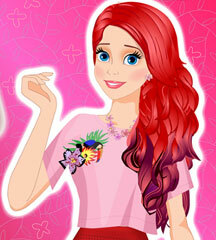 Go for an elegant denim dress with high heels and a purse, if you like elegant outfits. 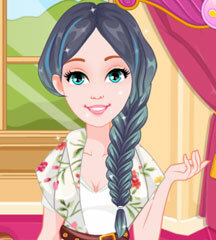 Experiment as much as you like and try out all of the fashion items in this girl’s collection. 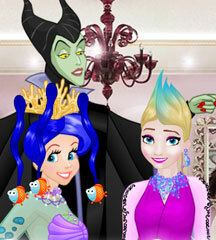 Dress up the princess models and watch them walk on the red carpet!